Answer: What is Method Acting? Home » Acting » Answer: What is Method Acting? Question: What is the acting technique, based on the principles of Stanislavsky that was popularized in 1930’s America by director Lee Strasberg at The Actors’ Studio, New York? If this were an episode of Jeopardy, the correct answer would be the title. However, defining something does not imply understanding, and the term “method acting” is often thrown around acting circles, but seldom understood. In some ways, the Method has become a parody of itself through interpretation and criticism from film audiences over the decades. The wild behavior of method actors off-screen has taken the limelight from the performances that the actors unleash onscreen. Heath Ledger’s death, tragic as it was, became the most popular and shocking story associated with the release of The Dark Knight Rises. Even to this day, it overshadows an Oscar-winning performance. Method acting has been accused of leading to his death, mostly by those who don’t understand what method acting actually is. The father of method acting was actor and director Lee Strasberg. He, along with several colleagues (Adler, Meisner, Kazan, etc. ), adapted the teaching of Stanislavsky for their American acting students. They focused on an “inside-out” performance, stirring past emotions from the actor’s life that they could draw upon during performance. This became known as sense memory, and Strasberg developed a series of exercises for his students, based on cultivating sense memory. Together, this collection of exercises comprises the Method. Method acting took off in the 1940’s and 50’s behind the powerhouse performances of Marlon Brando under the direction of Elia Kazan. 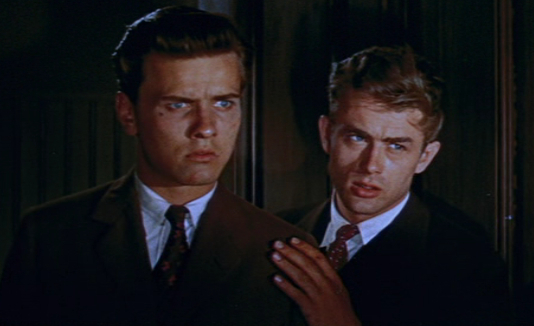 Note that Kazan also directed James Dean in East of Eden, also famous for its use of the Method. The roles and performances of early method actors came to define American acting. Audiences were amazed by the sense of reality. They felt as if they weren’t watching actors at all, but peeking into the lives of real people. After this period of success in the mid-20th century, method acting continued to be employed by many famous actors; Newman, Pacino, Monroe, and Hathaway to name a few. They have always attracted attention for their performances, but also for their technique of getting into character. The Method requires intense devotion and emotional bravery. Part of the reason its practitioners are so respected is because of those challenges. Understanding of the history and development of method acting helps to understand the goal; creating an emotionally truthful performance. Know Stanislavsky’s System – The Method starts here. Script analysis is crucial to understanding your character and beginning to ask questions. List out the actions and objectives of characters and then ask about the psychology of their decisions. Build a Back Story – To know a character, you must know about their past. Look for clues in the text that could provide support to their emotional journey in the play. Developing a character history will also help you, the actor, connect to the character. Connect Personally and Truthfully – Strasberg asks, “What would motivate me, the actor, to behave in the way the character does?” Think of your past as it relates to the emotions that you have identified in your character. Was there a time when you felt a similar emotion? What did it feel like? Practice and Apply – There is no substitute for doing. After you do the prep work, find an outlet for performance so that you can practice your skills. Continue to hone in on a character and on your technique. Behind the simple naturalism of a method actor’s performance is hours and hours of deep thought. Since its inception in the 1930’s, method acting has evolved and changed through experimentation on stage and screen, but the core principles remain the same. The goal is to create a lifelike character, to escape impersonation and simply be. What is method acting? Answer: Not acting at all. Learn more about the School of Acting at the New York Film Academy by clicking here.